We reserve special conditions for sales to our corporate customers and have through many individual projects developed a first-hand expertise with custom-tailored products. We offer a broad range of solutions from simply ordering existing products on a larger scale to the commissioning of an entirely individual product on the "key-in-hand" principle. Private companies and public entities are offered a special discount on all of our currently available releases. 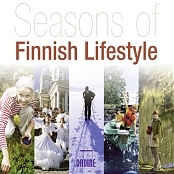 The Ondine catalogue includes top-quality products featuring popular Finnish and international star performers, hybrid products such as wish cards or booklet photo albums combined with a CD, as well as musical compilations including light classics or popular tunes. By joining our corporate mailing list, you will be informed of our seasonal promotions 2-3 times a year. To request our latest brochure, click here. 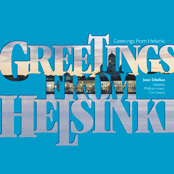 In 2009, the City of Helsinki commissioned Ondine to produce a classical music compilation as as an official gift to foreign guests. Following your company's individual needs and wishes on repertoire and packaging, we create and manufacture the most suitable classical CD product for business, PR or as a personal gift. The format palette includes tailored CDs, SACDs, musical wish cards or musical memory sticks. The possibilities range from adapting the packaging of one of our existing CDs to your needs, to creating an entirely individual product. Contact us by clicking here, and together we will think of an ideal company gift or an unforgettable musical souvenir from Finland.